Born in 1995, SEKITOVA was raised in a house where Jazz and Electronica is played everyday. When he was in elementary school, SEKITOVA's mother who, then, was an organizer for club events received a mixtape of DaveDK. Inevitably, that mixtape was played at his house, and inspired young SEKITOVA to build up the foundation of his current style. Simultaneously, Daft Punk's Discovery was on non-stop repeat at his house, that also became the source of his influence. 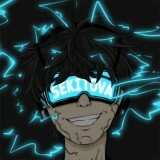 SEKITOVA started his DJ career when his interest in music grew stronger after his graduation from elementary school. Originally started from a minimal techno centered selection, SEKITOVA's playlist now includes Tech house/Deep house genre. SEKITOVA's career as a track maker started around 2008, and his music is released in various medium such as Japanese internet record label Maltine Records, or his own page in soundcloud.